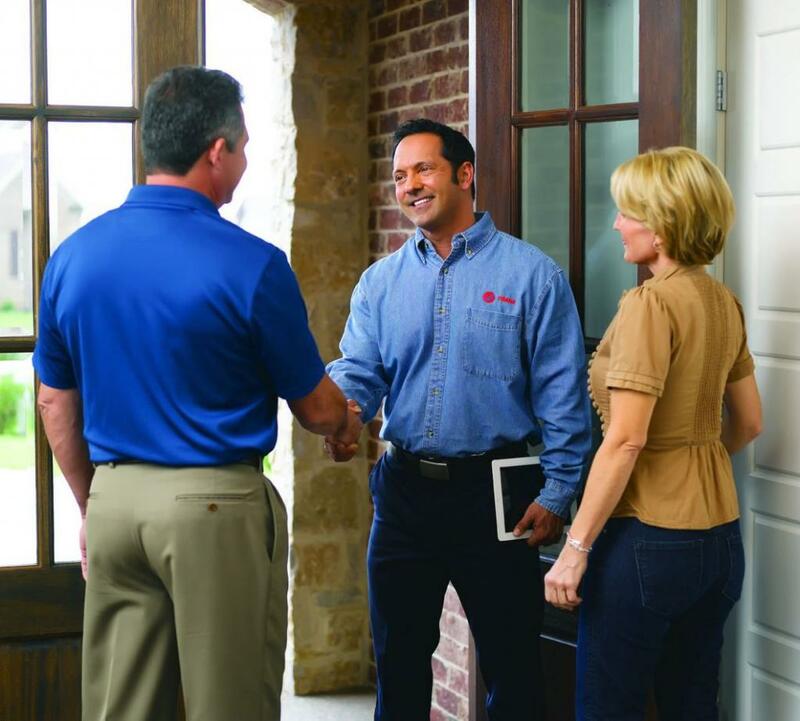 At Boykin Air Conditioning Services, our formula for success is giving you the peace of mind that comes with reliable indoor comfort services and solutions. When you need service or repairs on your home air conditioning system, Boykin Air Conditioning Services has the expertise to get the job done right the first time. We respond to your call quickly, service all makes and models, and return you to normal with minimal interruption to your comfort. Need a new system? Our residential cooling specialists will personally assess your home and design one that fits your situation and budget. We feature the full line of high-efficiency Trane cooling and heating systems that will keep your home cool and your energy costs low. No need to fear heating problems. Your Sumter area experts at Boykin will work to find the most effective, cost-efficient solution. From electric and gas furnaces to heat pumps, we handle all makes and models and get your heat working quickly at an affordable price. Need a new system to keep your home well heated for many winters to come? Our residential heating specialists are available for FREE consultations and can make recommendations on the best choice for your home and budget. We feature the full line of Energy Star-rated heating systems from Trane that will keep your home warm and your energy costs low. When was the last time you scheduled a heating or cooling system tune-up? Planned maintenance in the spring and fall can save you time, trouble and money all year long. With Boykin’s precision tune-ups, you’ll give your A/C or heating units the service they need to run efficiently through each season’s most extreme weather. Want even more comfort and peace of mind? We offer a Comfort Care Club annual maintenance plan to keep your equipment operating at peak efficiency and cost savings year-round. For timely, expert service on your cooling and heating system, or our on-target equipment replacement, Boykin has your business or building covered. Our commercial team delivers fast service and smart solutions at prices that add value to every dollar. Boykin offers complete duct cleaning services to help improve the air quality of your home or business and remove dust, pollen, mold spores and more. We can even test your indoor air quality while we are doing your maintenance and cleaning. We’ll check possible air pollutants like heating systems and make adjustments so they’re operating at a safe capacity. When necessary, we can also add air purification systems to your home or building to filter possible contagions. Ductless Mini-Split Systems are perfect for rooms or small spaces where adding ductwork just doesn’t work. Bringing clean, comfortable air to compact living environments, these systems offer energy efficiency, increased comfort, and quiet operation. The ductless experts at Boykin can install this big comfort, small space solution to a single room in your home or several. We offer a variety of leading comfort controls by Trane and Honeywell. As a stand-alone item or an add-on to new equipment, we can get you better connected to your home’s comfort system and put new levels of heating and air conditioning performance at your fingertips. Create an indoor environment for the way you live with help from Boykin. Lock in comfort and peace of mind with our 80+ point home comfort system inspection that covers about four times the items checked by most air conditioning companies. We provide you with a written report detailing the general condition of the equipment, duct system, condensate drain systems and other items. PURCHASERS – Learn the current condition and what to expect from the comfort system you are about to purchase with your new home. SELLERS – Show your prospective buyers the condition of the comfort system as evaluated by an HVAC expert. Have a question or need service? We’re always ready to jump in with some useful information or hands-on help. Call us at 803.778.1937.